I went to see the Superbowl yesterday. Steven and Chloe invited me. It was fun. They put a whole spread of snacks out. The game was kind of slow. There were some fun commercials though. The one I remember had a bunch of people on an elevator. Chloe added some excitement by having a game. She had a piece of paper with a grid on it. The rows and columns had numbers, and we took turns writing our names in the squares. 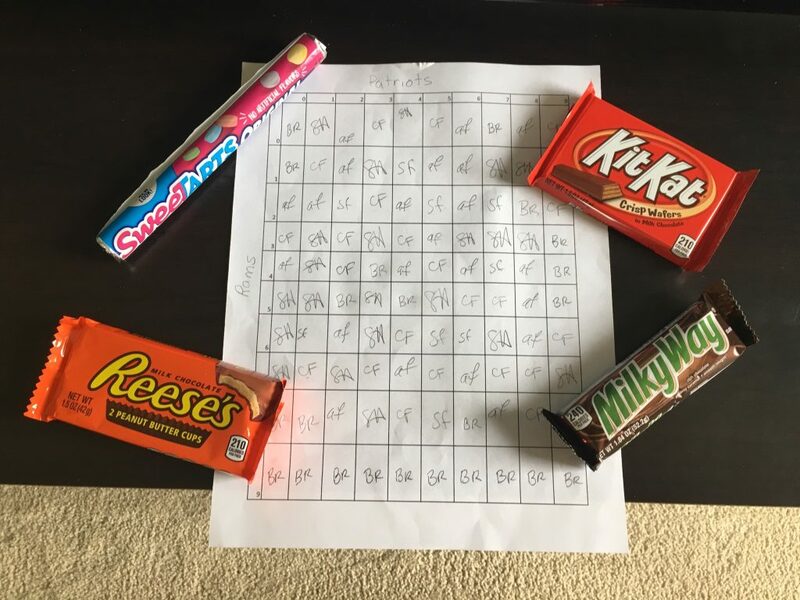 At the end of each quarter, whoever had the square that matched the last numbers of the scores won a candy bar. Since the game was so low-scoring, I won the first candy bar with my zero/zero square. You guys watched it in mid-afternoon, huh? No late night partying for the Hawaiians.